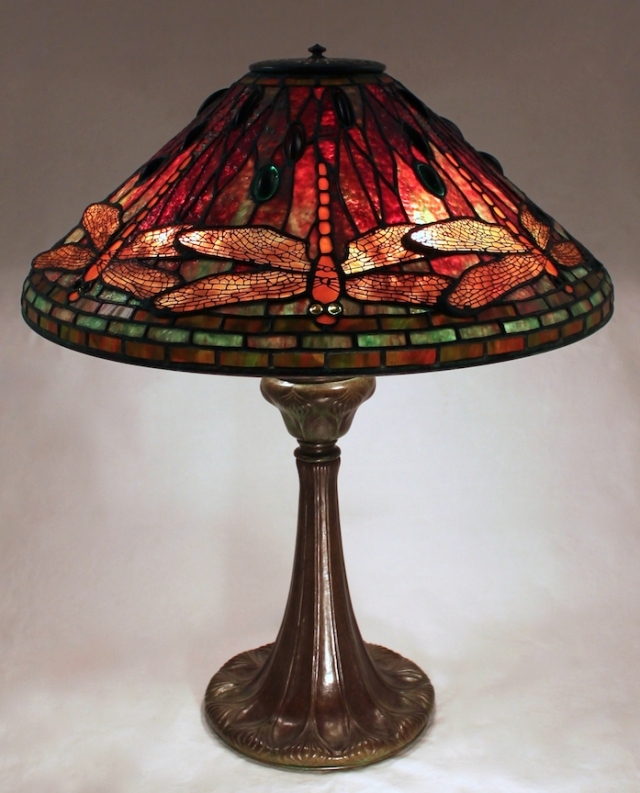 Commissioned by an out of state client, this 20″ Dragonfly lamp has the fiery warmth of burning embers. The shade is shown on the elegant Decorated Trumpet base. The background for the shade was cut from textured green and red glass made in the late 1990’s. The dragonflies have amber wings, red/orange bodies, and glowing green/amber eyes. 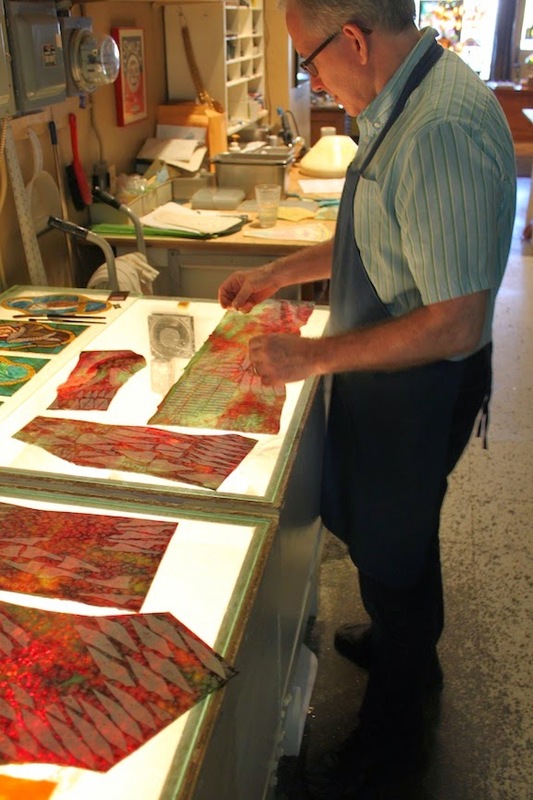 The deep red and green glass “jewels” that dot the upper background of the shade were created at our studio.